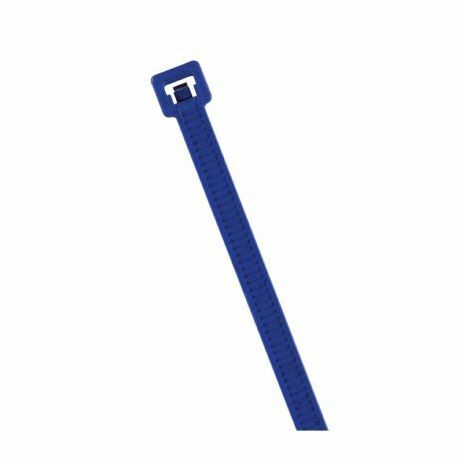 Metal Detectable Colored Cable Ties - 15"
Metal Detectable 15" Colored Cable Ties - 100/pk New cable tie was designed for the food and beverage processing industries to meet safety standards set by HACCP (Hazard Analysis and Critical Control Point) to minimize the risk of contamination. 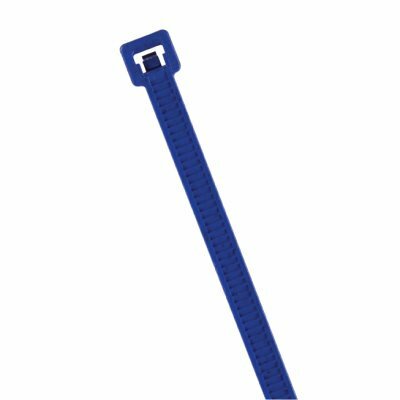 The metal content tie is a nylon based with metal content dispersed throughout the entire tie including the head. A unique manufacturing process involving the inclusion of a metallic pigment enables even small “cut-off” sections on the tie to be detected by standard metal detection and X-ray equipment. The unique colors assist in the visual detection and greatly reduces the risk of contamination and costly recalls. 15" length, 100 per pack.